Dr. Stacey Davis is currently working toward her diplomate in neurology through the Carrick Institute. Dr. Davis' passion is to live life to the fullest and fill her clinic with patients who share that passion. She has 120-hour certification in Extremity Adjusting (C.C.E.P) through Kevin Hearon Seminars and is certified in Thompson Technique. Dr. Davis practices in Blue Ridge and Ellijay, Georgia. She has been in a private practice for 20 years. Dr. Davis is a graduate of Life University in Marietta, Georgia. She earned her B.S. in Nutrition and her Doctorate in Chiropractic in 1995. Dr. Davis is also a black belt in Tae Kwon Do. She loves running, reading, mountain biking, snow boarding, teaching at her church, and spending time with family and friends. She is most passionate about her patients and helping them meet their health goals. Dr. Sherry Bramlett is passionate about providing chiropractic care to correct areas of neural dysfunction (subluxation), analyzing the patient bioenergetically for balancing the bodies systems and providing analysis of patient's blood work to keep the patient within the functional range. Dr. Sherry is a graduate of the University of South Florida where she received a B.S. in Biology. She received her doctorate at Life University School of Chiropractic in 2001 and completed the Extremity Adjustment Program at Life University. In 2007, Dr. Sherry certified in the Bioenergetic Program, allowing her to kinesio-test acupressure points to determine homeopathic nutritional remedies for the care of her patients. She was also trained in Apex Seminars to analyze blood work for functional ranges, which aids her in the use of homeopathic and nutritional remedies as well. Dr. Wilcox graduated from Life University in Marietta, GA March of 1999. 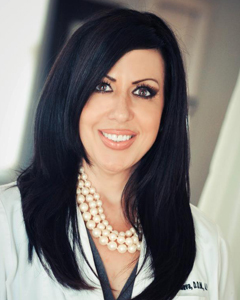 Dr Mielissa has been in private practice for 15 years. Her chiropractic techniques are Thompson Drop technique, Sacral Occipital technique, and full spine. She is certified in Bio Energetic Synchronization Technique (B.E.S.T.). She enjoys practicing the basic and emotional part of B.ER.S.T., it is a differenct way of treating people's concios and subconcious nervous systems, and it is a great companion to a chiropractic adjustment. Dr. Melissa enjos helping the patient meet their full potential in health and personal well bein gthrough chirpractic care. Dr. Melissa loves traveling, cooking, and spending time with her husband Bob, her dog Maggy Mae, cat Noah, and family and friends. She enjoys spending time in prayer and on retreat ministry teams and being an active part of the body of Christ. Ana M. Villanueva specializes in the practice of oriental medicine and acupuncture. Her studies of integrated medicine took place at East West College of Natural Medicine. She is nationally board certified, has a Diplomat of Acupuncture, and is licensed in multiple states. Ana has also held a license in aesthetics for over 13 years. She has a passion for health and wellness and a ventured interest in enabling her patients to achieve maximum capacity of quality of life and overall balance. Traditional Chinese medicine is based on meridians (pathways) that run throughout the entire body and directly correlate to the organs, structural body and emotional body. In traditional Chinese medicine the body is a addressed a whole and on the three levels: physical, emotional and spiritual. The following are some of what acupuncture can help with: headaches, pain, fertility, female issues, addictions, weight loss, anxiety, depression, post traumatic stress disorder, Bell’s palsy, insomnia, smoking cessation, appetite control, and overall balance.